Dunes Village Resort offers the biggest bang for your dollar! The Dunes Village Resort in Myrtle Beach has always been known for their popular north-end location as well as the tons of amenities that visitors get to enjoy. When people think of Dunes Village, they think of a destination, not just a place to stay in Myrtle Beach. The lazy river is just the beginning. Kids are amazed when their parents check into the resort and in front of their eyes sits an enormous indoor water park. When you visit Myrtle Beach, you think of the ocean and white sand. 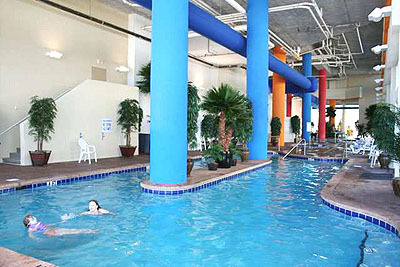 When you stay in Dunes Village Resort, you think of pools, rivers, waterfalls, games, activities, grills and more. Of course, the beach is there for enjoyment too, yet you may find it more comfortable sitting on a cozy chair watching the waves by the oceanfront pool. Those looking for oceanfront investments seem to gravitate to Dunes Village Resort because of the extraordinary rentals that these condos can produce. It is common to have a unit generating $30,000 or more in rental revenue while a comparable condo in another resort may only generate $17,000 in annual rentals. Why would you buy in an inferior building with inferior income when you can invest the same amount of money and produce much better revenue? There are 8-10 different floor plans in the resort ranging from spacious studio units to larger 4 bedroom units on the direct oceanfront. No matter your needs, there is a unit that fits every purpose. In addition to the great investment potential, Dunes Village owners enjoy personal use out of these condos. They bring their families to the beach on the summer and use the indoor water park in the winter. This is truly the best of both worlds. You may want to learn more about this oceanfront building. 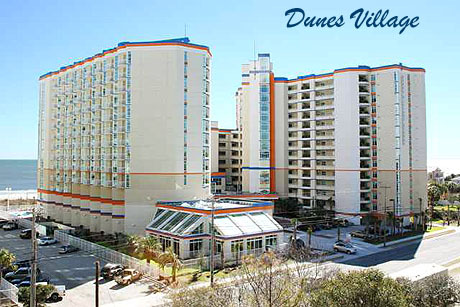 There are a few Dunes Village Resort condos for sale listed right now. If you are really serious about an oceanfront investment then contact me to discuss what may be available yet not on the open market. I have permission to discuss a few units that will be released by the developer that they were once keeping in their own portfolio. Only pre qualified purchasers are allowed this opportunity. A few more notable resorts to consider are the Caribbean Resort, Paradise Resort Myrtle Beach and the Anderson Ocean Club. Final thought...Wealthy investors buy low and sell high. Everyone agrees the Myrtle Beach real estate market is very low so this may be your opportunity to purchase a quality property at a deep discount.